This will likely be the most controversial of all the blogs I have written about racing cyclocross in the cold. This is because when you write about what not to do, it’s mainly because people are actually doing them. I don’t have to write about things like, “Don’t use a flamethrower to keep yourself warm before a race,” because nobody is doing that (well, I hope nobody is doing that). 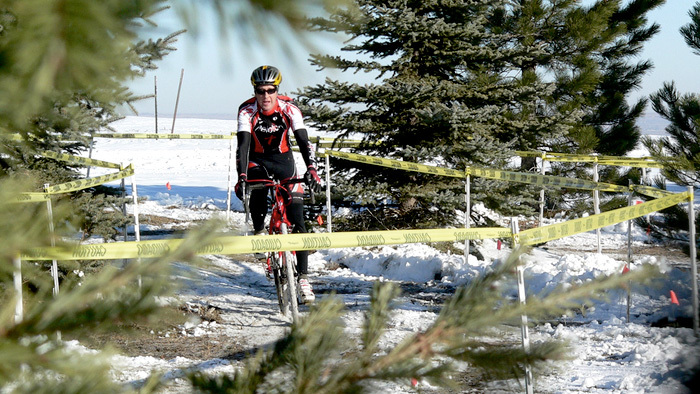 So, when it comes to the “don’ts” of racing cyclocross in the cold they have to be addressed because people are doing them. They have rationalized to themselves that what they are doing is right and often times they have their own or other’s anecdotes to support their reasoning. Unfortunately, determining truth and what works this way has multiple inherent issues. If we can, it is best to determine truth through means that are more objective than personal experience- ideally through the scientific method or sound reasoning. Here are a few practices that are not supported by empirical evidence that are perpetuated through shoddy reasoning. The biggest hot button topic in cold racing “don’ts” is the use of embrocation or warming cream, also known as “Belgian knee warmers”. The idea behind these creams are that they have an irritant in them (e.g. capsaicin) that causes certain receptors in the skin to produce the sensation of heat when there is no actual heat. These irritants also increase blood to flow to the cutaneous where they are applied. These factors combined cause a warming sensation in the area. Unfortunately, this warming sensation does little besides provide a placebo effect and actually has the potential to be detrimental to performance. The first nail in the coffin for embrocation happens when a search for scientific literature dealing with it and cycling and performance is done. There is no published data (at least not in the major scientific databases as of December, 2014) that supports the claim that embrocation can improve your cycling performance (i.e. a higher wattage output above and beyond a placebo effect). This doesn’t mean that embrocation cannot improve your performance, it just means that any claims out there for embrocation as a performance enhancer are not substantiated by published scientific research in journals with significant impact factors. This important if you are concerned with employing training methods and products that actually work. The second nail in the coffin for embrocation actually deals with how it most likely cannot improve your performance. This can be explained through basic anatomy and physiology. As established in my previous blog about warm-ups, a warm muscle (and the connective tissue around it) performs better than a cold muscle. It was also mentioned that the best way to ensure that the exercising muscles were warm was to look for signs of thermoregulation, like sweating. Part of this is because, unlike skin, muscle has no thermoreceptors (nerves that signal temperature to the brain). This means that sensations of heat from the leg may or may not mean the muscle is warm. In the case of embrocation application the muscle is most likely not going to be warmed-up until it has actually exercised sufficiently. The blood causing the skin to be warm did not first travel through the muscle capillary beds (warming it and dropping off oxygen on the way) and then move onto the skin- it went directly to the skin from the heart. Once the blood reaches a capillary bed in the skin or the muscle it has to return back to the heart before it can be used again for thermoregulation or to supply oxygen. This brings me to another important point that was touched on in the blog about the basics of thermoregulation- shunting blood to the skin during exercise has the potential to decrease performance. So, it would seem somewhat counterproductive for a cyclist to apply a product that encourages blood flow to the skin above and beyond what is needed for exercise. Now, to be fair, like there are no studies that say embrocation use will increase performance there are also no studies that say it will decrease performance, but this is not how we justify the use of a product (kind of like there are no studies that say wearing clown make-up will increase or decrease your cyclocross performance, but how many people do you know have fake red noses in their race bag?). In my opinion, given this reasoning, it’s probably best to save the money you’d spend on warming creams and buy some sweet knee warmers. Proper dress was discussed in the “dos” blog, but there is nothing like beating a dead horse to really drive a point home. Cyclocross is generally raced in cooler temperatures in many parts of the world, which offers a great advantage during intense exercise. A greater temperature gradient provided by the environment allows for heat generated by exercise to be lost at a greater rate. This reduces the need for performance robbing thermoregulating processes such as sweating and shunting blood to the skin. If you overdress you reduce the advantage provided to you by the environment while many other competitors could be taking full advantage of it. One scenario that exemplifies this is the early season long sleeve skinsuit wearer. So, you get that sweet looking team skinsuit and, oh man, the bike just slides up and down the arms with ease when shouldering it at the run-ups… but it’s 65 degrees out and you’re sweating buckets. For most people, it’s probably best to wait until later in the season to bust out that long sleeve skinsuit. Wait for even cooler temperatures if that long sleeve skinsuit is made of thermal material. The other scenario that exemplifies over dressing is the person who dresses the same for a race as they would for a training ride at the same temperature. The chances are really good that you’re going to be over-dressed if you do this because the intensity of the exercise (and therefore the heat generated) is higher during a race than during a “normal” training ride. The caveat to the “over-dressing don’t” is you obviously don’t want to under-dress because, as alluded to in earlier blogs, being too cold can also cause your performance to decrease. Also, equally as important, extremities that are too cold run the risk of getting frostbitten, and that’s not good. Lastly, some real quick “don’ts” that most people are aware of, but I figure it’s best to mention anyway. First, people have been known to have a drink at cross races and do so prior to racing to warm up. Simply put, it’s a bad idea and doesn’t work. Also, don’t wear cotton and exercise in the cold, or better yet just don’t exercise in cotton. Cotton is a death cloth.